Police Commissioner Jim O’Neill and City Councilman Eric Ulrich (R-Ozone Park) on Thursday visited the 106th Precinct stationhouse to congratulate its leadership and members for their efforts in helping to make the Neighborhood Policing Program a success. 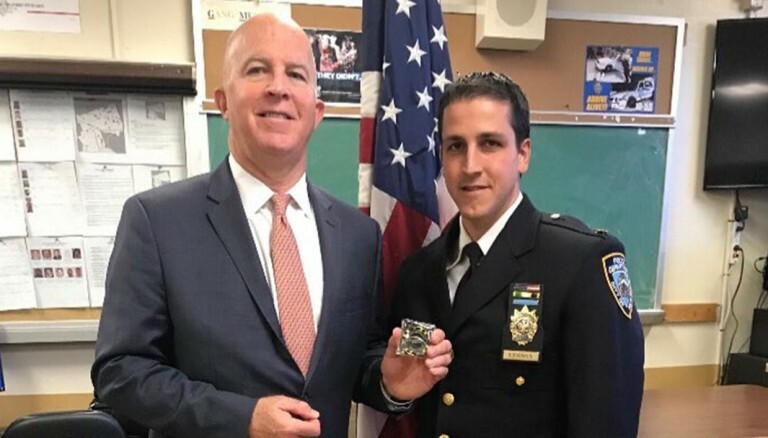 Gotham’s top cop is pictured here with Deputy Inspector Brian Bohannon, commanding officer of the precinct. Neighborhood Policing was launched in the South Queens command in July 2017.